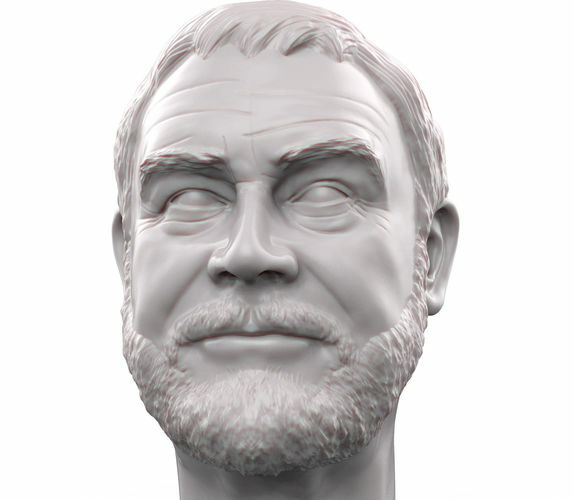 3D printable portrait sculpture of legendary actor, sir Sean Connery. I sculpted him to resemble what he looked like in his last movie “League of extraordinary gentleman”. Movie is from 2003. He was 73 years old, and im amazed how good he still looked at that age. -OBJ file -two stl files of 120 mm height sculpture. One solid, one with 1 mm shell with hole on the bottom of the neck.